Part 1 of episode 6 finds the final 5 participants in Sancti Petri on the evening of day 20. After a little issue on night 20, the team is facing their next challenge on day 21 and it involves paint guns? AC360 was live at 8 & 11 PM on Tuesday evening to cover breaking news on MH #370 and the mudslides in Washington state. Miles O'Brien joined the expert panel to talk details of Boeing 777's. Anderson Cooper anchored early morning coverage on CNN Monday (see our previous post) and also was live at 8 & 11 PM with breaking news. He stayed on-air with extended coverage after midnight for the press conferences held by the Malaysian government and the Australian military. 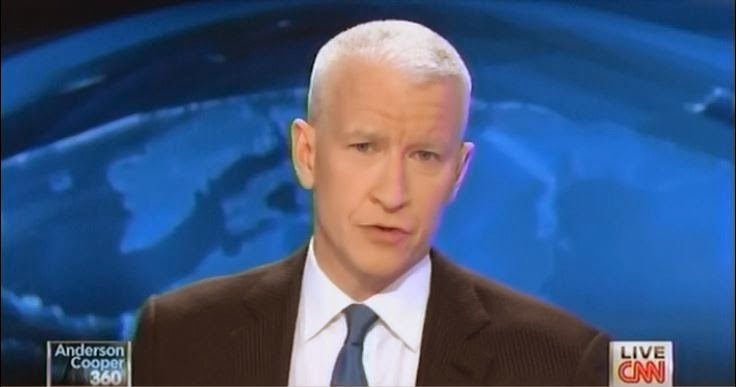 With the Malaysian Prime Minister announcing a press conference at 10PM local time, Anderson Cooper was brought in to lead the coverage. Following are the opening segments from each hour and the final segment from Anderson's second hour. We'll have more coverage for you tomorrow. Anderson Cooper - Guest on Late Night/Seth Meyers Tonight! Late Night with Seth Meyers is all new tonight with guests Anderson Cooper, Alessandra Ambrósio and Behati Prinsloo as well as musical guest Iggy Azalea. 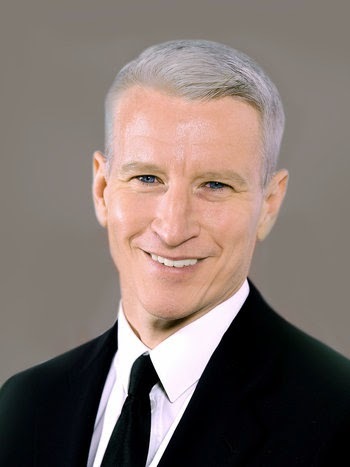 Anderson Cooper is a TV personality, journalist and author. He anchors his CNN show, Anderson Cooper 360°, out of New York, but often travels right into the thick of breaking news locations. 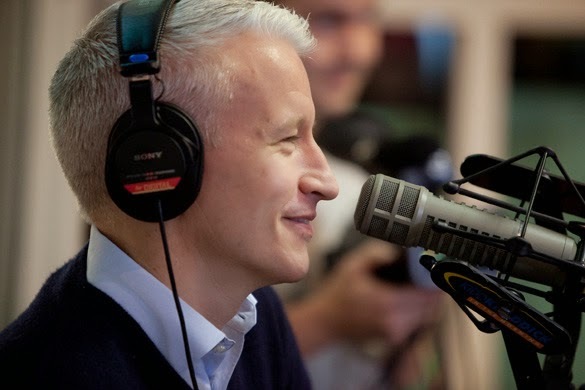 Cooper is CNN's go-to reporter for most major news stories, covering the conflicts in Syria, the NSA surveillance program, the Boston Marathon bombing and the Sandy Hook shootings. Alessandra Ambrósio and Behati Prinsloo are both Victoria's Secret models. In 2012, Forbes placed Alessandra sixth on its top-earning models list. Iggy Azalea is an Australian rapper-songwriter-model who gained mainstream popularity when two controversial songs of hers went viral on YouTube. In addition to releasing two studio albums, Iggy has also been featured as the face of Levi Jeans. We'll have it covered for you! 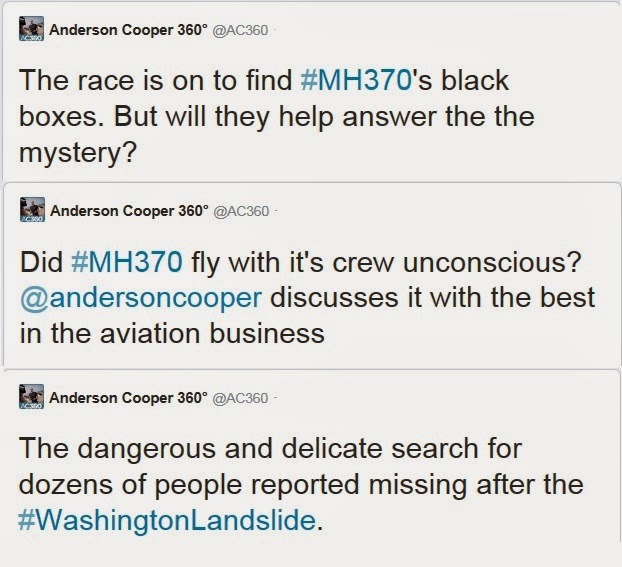 Anderson Cooper talked with Ryan Seacrest mostly about missing Malaysia Flight 370, but there were mentions of Rhianna's new fragrance and Derek Hough. 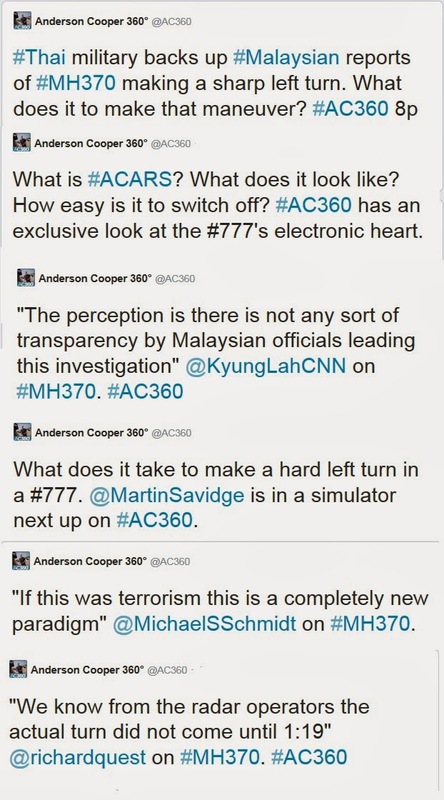 Some highlight's of week one of Anderson Cooper's coverage of missing flight 370. Part one of episode five finds the six remaining players in Paterna de Rivera, Spain on day 18 of their "adventure" and facing their next test.